So, last fall I bought a british saber. One of the previous owners had stripped the patina off the bell and tried to polish it to it's original. 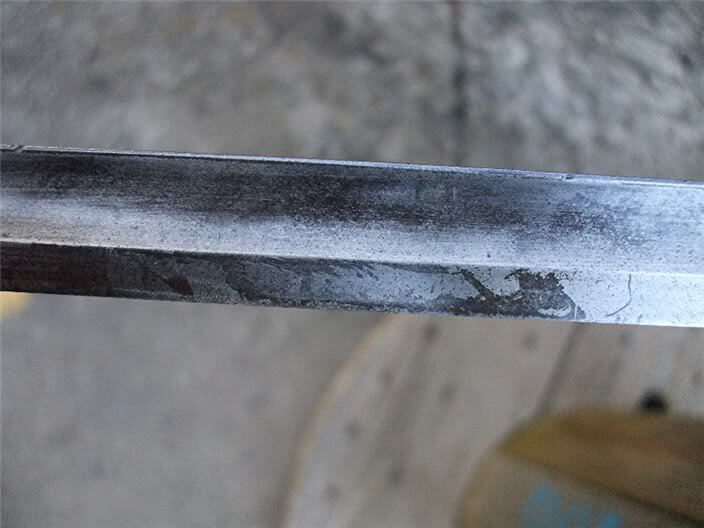 It appears they also tried sharpening the blade or at the very least did some heavy cleaning on it. Due to it's condition I got the piece at a song. So, here's my question. I know the value has been seriously mitigated due to the negligence of it's former owner. What should I do with it? Should I leave well enough alone and let it start it's slow degradation again, or should I finish what what was started and restore it? Thoughts? Do you have any photos that depict the extent of the "restoration" efforts? Any other information you have on the sword would be helpful, too. What is the pattern? Who was the maker/retailer? 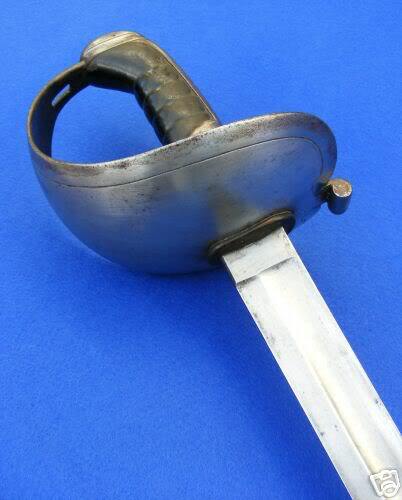 P1821 British heavy cavalry troops sabre, maker is Pillin? I've attached a couple pictures of the blade and bell. It's kind of in limbo, and I need to decide what to do with it. 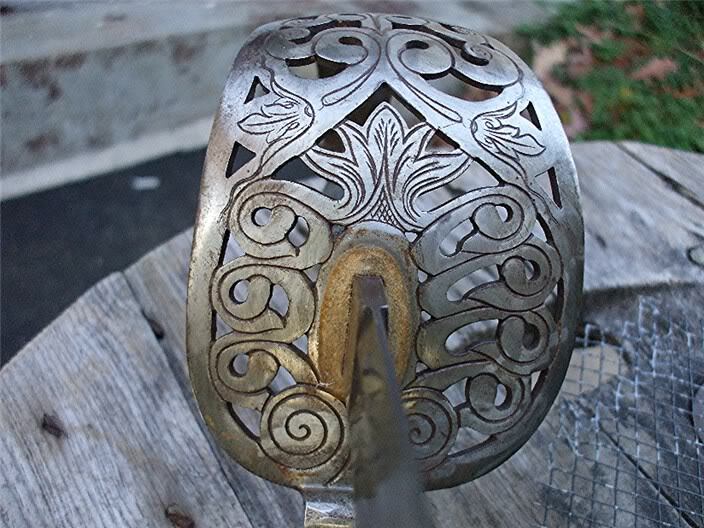 It is a Pattern 1821 heavy cavalry officer's sword. 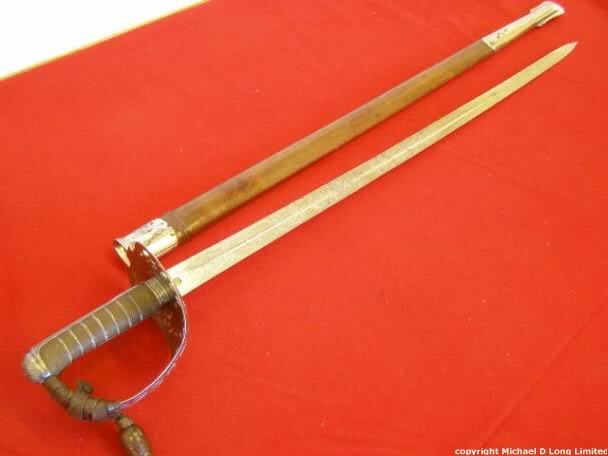 Below is an example of the P1821 HC trooper's sword. 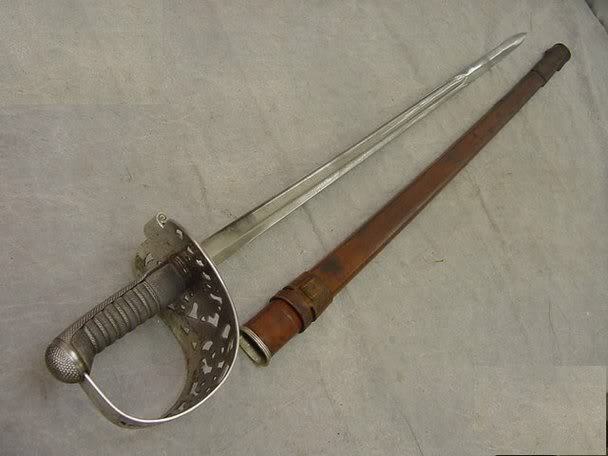 I am not sure why the point was rounded off, but that does not make it a trooper's sword (obsolete pattern swords sometimes had their points rounded to make them safe fro drill purposes). 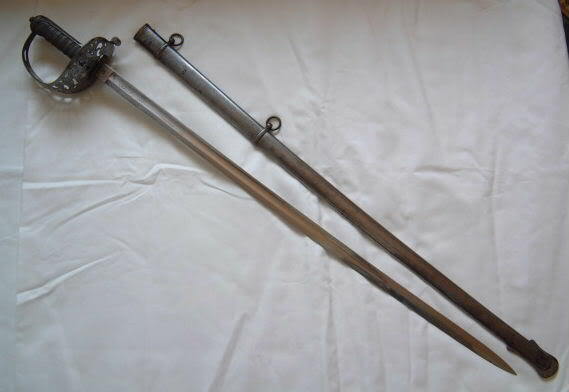 The P1821 HC officer's sword was adopted for all cavalry officers in 1896, and I would guess that your dates to the period 1896-1912. I think you could go either way with it. In my opinion it will never be what it once was, so in this instance I might finish what had been started. This is coming from someone who as a general rule is against restoration and is all about original patina. I usually just get rid of dirt and active rust, but in this case I think I would make an exception. 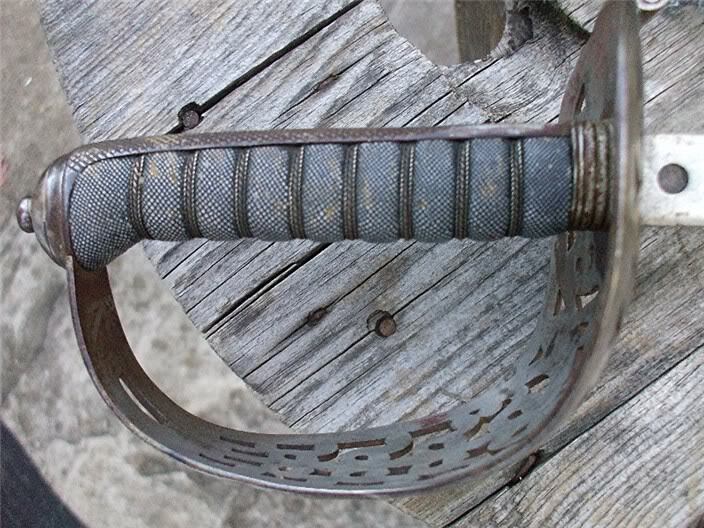 Would you consider getting a scabbard for it at some point? Fantastic information! Thank you much! The sword is a bit later than my tastes, but I couldn't pass up the opportunity to own one for such a great price. Yes, I plan to make a sheathe for it one day. My friend owns an original sheathe so I could copy it I guess. I'm not sure it's the correct model though, did these have leather sheathes with metal furniture?